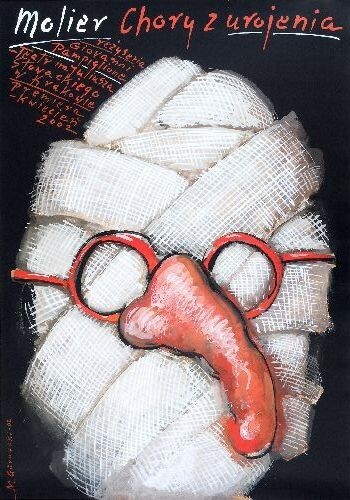 Imaginary Invalid Moliere (Chory z urojenia Moliere) theatre poster designed by Mieczysław Górowski original print from 2002. 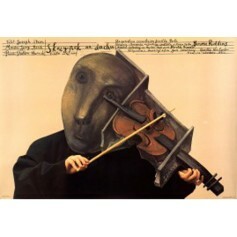 Theatre poster Stasys Eidrigevicius, original poster title: Skrzypek na dachu - Fiddler on the roof Jerome Robbins. 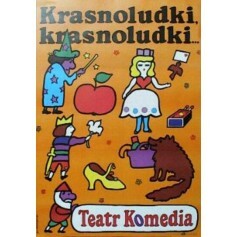 Original printing from 1991. 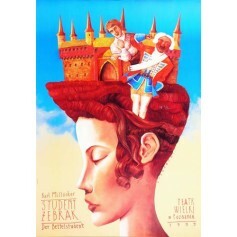 Beggar Student (Student Żebrak) theatre poster designed by Leszek Żebrowski from 1999. 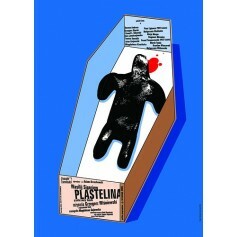 Plasteline (Plastelina) theatre poster designed by Mirosław Adamczyk original print from 2005.